Aiptek has officially released its newest pico projector, the MobileCinema A50P, which is aimed at users who actively use Android smartphones and tablets. This pocket-sized projector is capable of being transported easily and could be used in office settings where you might want to throw something from your smartphone or tablet up quickly on a larger screen for everybody to see. 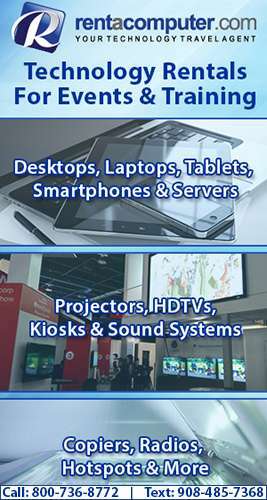 The projector, which only measures 132mm x 71mm and is only 14mm tall, is capable of producing a 640×480 VGA resolution image in the range of 6″ to 60″ from up to 2m away. In addition to that, the projector comes with a 35 ANSI lumen output, which isn’t outstanding by any means, though it is still more than adequate for the size of the device. The A50P has definitely been designed with mobile users in mind. The device comes with a micro-HDMI connector along with support for Mobile high-definition Link (MHL). Due to this, the projector is capable of charging a smartphone at the same time as it is being used as a projector by tapping into its own 1,850mAh lithium-polymer battery. When switched off, the projector can also run as a standalone power bank for a quick charge. The A50P is based on Digital Light Processing (DLP) technology and comes with a low-power LED light source, which gives it a 1,000:1 contrast ration and an overall lifetime of 20,000 hours before the LED burns out. A carrying case and USB cable are included with the projector, which is also ready to use right out of the box for MHL-compatible devices. Unfortunately, you will need an extra adapter if you want to use micro-HDMI. 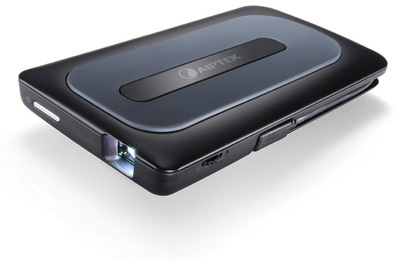 The MobileCinema A50P pico projector from Aiptek is currently available from the company for about $480. Could There Be A New Google Glass Coming With A Built-In Projector?